Two years ago today – and the days and even weeks that followed – was maybe the hardest thing I’ve ever been through. Two years ago today we were called to the hospital and by the time we got there, my grandpa was gone. My grandpa, who had two days before told my dad to tell me he’d be out of the hospital soon and didn’t want to be back in there for at least 10 more years. My grandpa, who had just recently had heart surgery and had come out of it doing well. It doesn’t feel like it’s been two years. I still miss him every day and there are so many things, little things, that when I hear, see, or think of, he comes to mind. Like homemade ice cream, Big Red, porch swings, harmonicas, a comfy brown recliner that still sits empty most of the time at my grandma’s house. I will never forget the day he passed away. 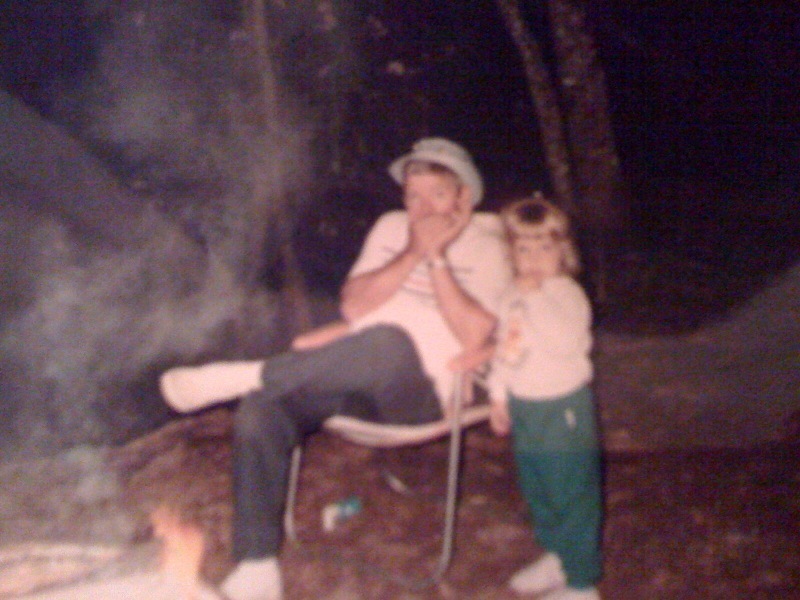 Or the days after, when my already close family seemed to grow even closer, leaning on each other for support and sharing stories about him that some of us had never even heard – like how once he had to drive a pig somewhere (I don’t remember where, but my grandparents used to live on a farm) and took him in the family’s station wagon. Or how he’d let my dad shoot a gun one time when my dad was little and it threw him back 10 feet. I miss him. 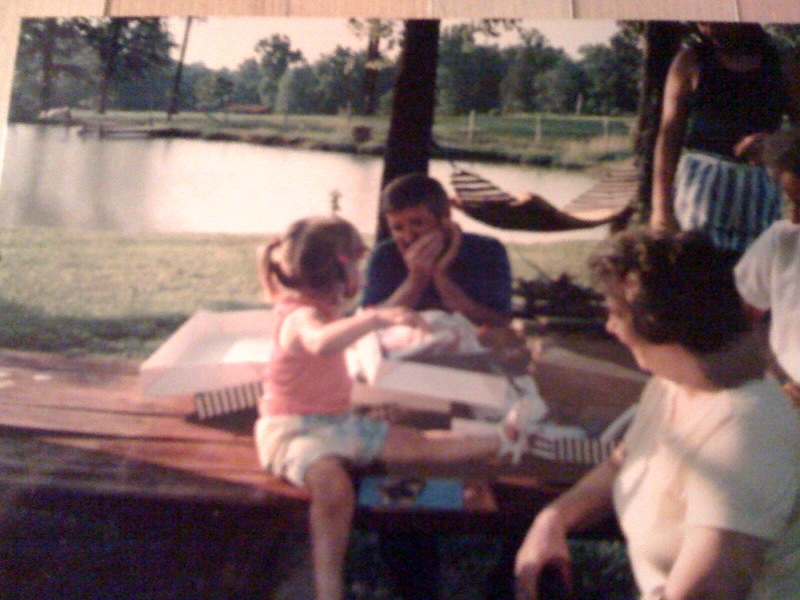 And when we went through pictures to display at his visitation, we found three of me as a kid, watching him play the harmonica. They’re now in frames in my room, not far from the one of him that’s my favorite – in the blue shirt with the crooked smile, the picture that sits surrounded by angel figurines because that is who is taking care of him now. This is very nice Laura. Made me smile and tear up at the same time.